This sophisticated hotel is an 8-minute walk from Delhi Aerocity metro station and 2.5 km from Indira Gandhi International Airport's terminals. Sleek, contemporary rooms offer flat-screen TVs, WiFi (free), minifridges, and tea and coffee making facilities. Some add balconies; club rooms include access to a lounge with free drinks. Suites feature integrated or separate living areas. There's a breakfast buffet (free) and a pair of restaurants for international cuisine, plus a cafe/bakery, and a lounge bar with live entertainment. Amenities include a heated outdoor pool, a fitness centre and a subdued spa, plus 8 function rooms. 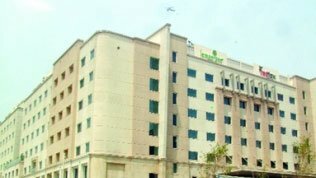 Offering an outdoor swimming pool, a fitness centre and a spa and wellness centre, Holiday Inn New Delhi International Airport is located in New Delhi. Free Wi-Fi access is available. The property provides complimentary 2-way airport transfers. The property is 3 km from Indira Gandhi International Airport, 7 km from the Business District of Gurgaon and 18 km from New Delhi Railway Station. The India Gate is 16 km while Red Fort is 22 km. Rooms here will provide you with a flat-screen TV, air conditioning and an iPod dock. 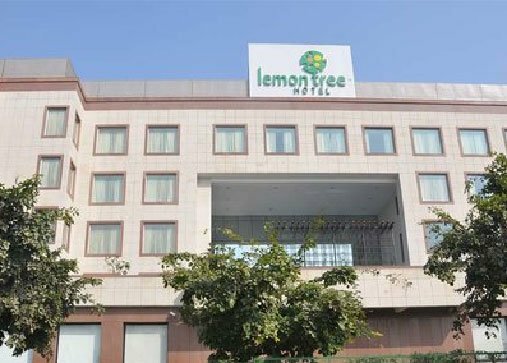 Tree experience while retaining the same freshness, quirkiness and energy that Lemon Tree is well known for.Lemon Tree Premier pampers the style conscious and upbeat traveler with its personalized services, premium in-room amenities, award winning restaurants and fun experiences. 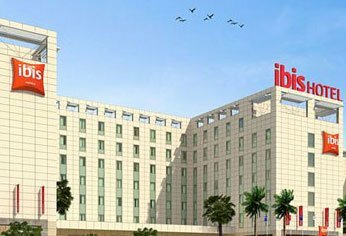 Ibis Delhi Airport Hotel, Aerocity, is between Terminal 1 and 3 with Free Airport Transfer, Hi-Speed WIFI access and soundproof rooms. Round-the-clock room service, midnight snacks and tempting express breakfast makes business travel expedient at ibis. Eat at the explicit alfresco dinning with gazebos, relax in the heated swimming pool, and feast at the Live Kitchen amid city's panoramic or poolside view rooms. It is more than a homecoming with the exclusive pet-friendly hotel. At ibis, hangout at the exquisite hotspots of 24/7 services at Hub Bar and Spice IT restaurant. Red Fox Hotel, Delhi Airport is 4 kms away from Indira Gandhi International Airport and 5 kms away from domestic airport. 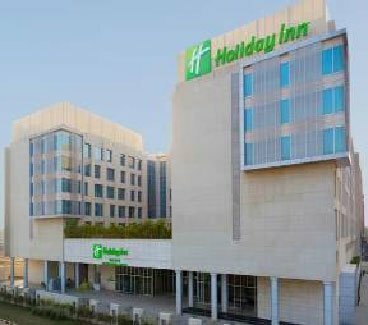 Also, the hotel is just a km away from Aerocity Metro Station which gives you an easy access to the corporate and commercial hubs of Delhi and Gurgaon. It also lies in close proximity to various entertainment and shopping destinations of the city. In case of booking for double occupancy, please mention the name of the accompanying person during on-line reservation of accomodation. • The above room rate are per room per night basis only. • The above rates are inclusive all applicable Govt. Service taxes. ICEC26-ICMC2016, at the respective hotels mentioned above. through Meetings and More only. • The Government reserves the rights to revise the taxes. • Rooms will be confirmed against advance payment. should be paid by the guest directly to the hotel at the time of check out. 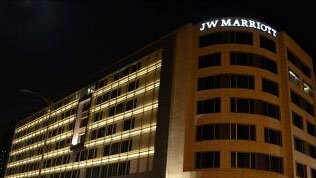 • The official Check in time in all the hotels is 14.00 hrs except JW Marriott which is 1500 hrs and Check out time 12:00 hrs for all the hotels. Early check in / checkout facility is subject to availability of room(s) and will be provided for a maximum of 1 hr. Any extension further on will be counted as additional 01 night stay & payment will be collected accordingly. The cheque/ DD should be in favour of India For You Holidays Pvt. Ltd.
India For You Holidays Pvt. Ltd. There is separate process for registration.